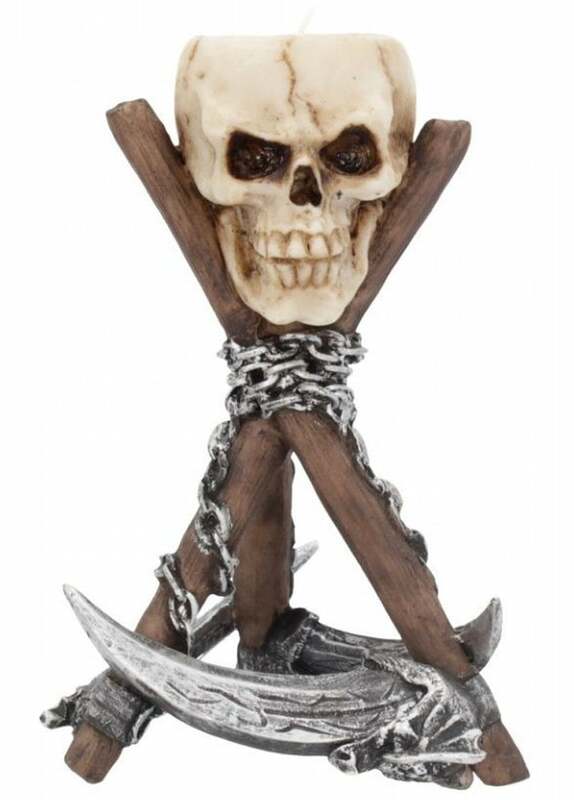 The Reapers Rest Tealight Holder is a perfect centrepiece for a coffee table of mantlepiece. The candle holders is fashioned from a skull, balancing on top of three Scythe's chained together. The blade of each scythe forms the base.